True hand sanding. 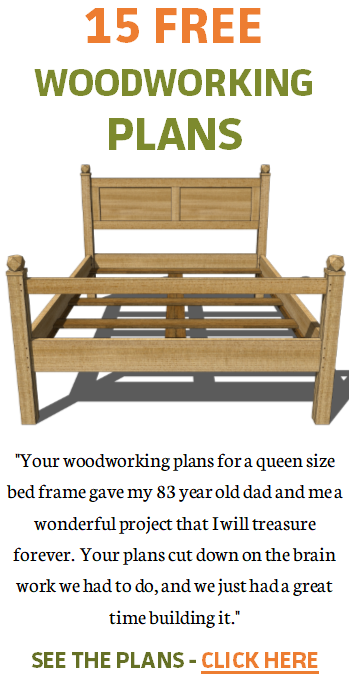 Some mass produced furniture is labelled as hand crafted. My coffee table is the real deal. I really don’t like sanding wood. The saw dust gets up my nose not matter what I do to control it. And it is hard work. But fortunately, the sanding on this project started early on. 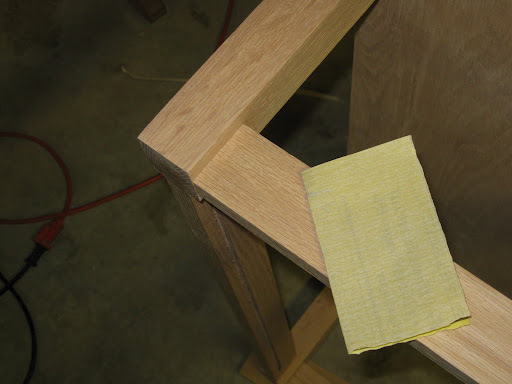 As I cut parts such as the apron, stretchers, and legs, I sanded them with my orbital sander. So all I need to do now is final sanding. One of the issues I need to clear up is some residual glue around the joints where some apron and stretchers meet up with the legs. These areas can be hard to get into with sandpaper. I use a used foam sanding block for this task. 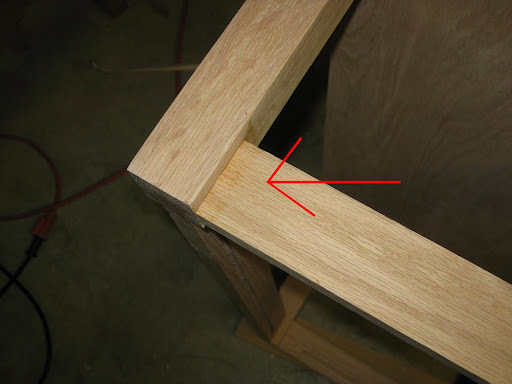 One of the problems with sanding this way is that there will be cross-grain scratches in the wood. If these scratches are not taken care of, the stain will magnify them. Because the sanding block is worn any subsequent scratches will be kept to a minimum and will be somewhat easy to remove. A little glue. Despite my best efforts to wipe away excess glue, some remains (red arrow). Getting into the corner. 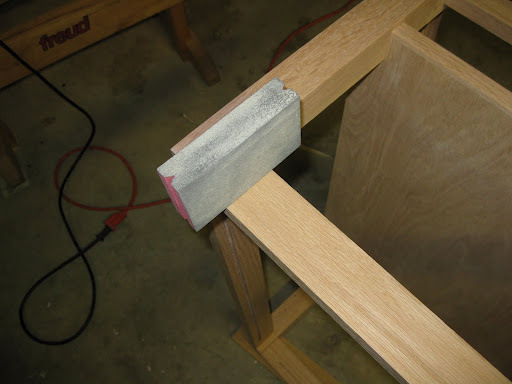 I use this sanding block to clean up this inside corner. Final sanding. 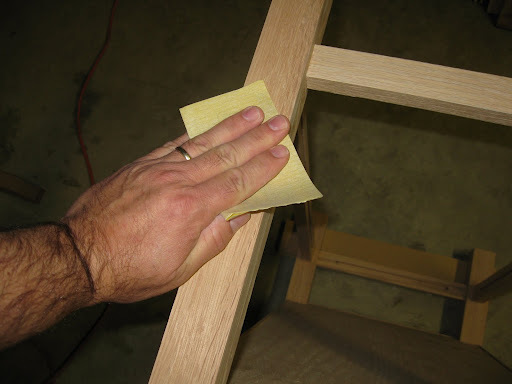 I sand up to 400 grit paper to ensure a good surface for stain. Just as I commented in the post on my massive bookcase, I love the look of wood ready for stain. I will use Minwax Golden Oak stain on the red oak.